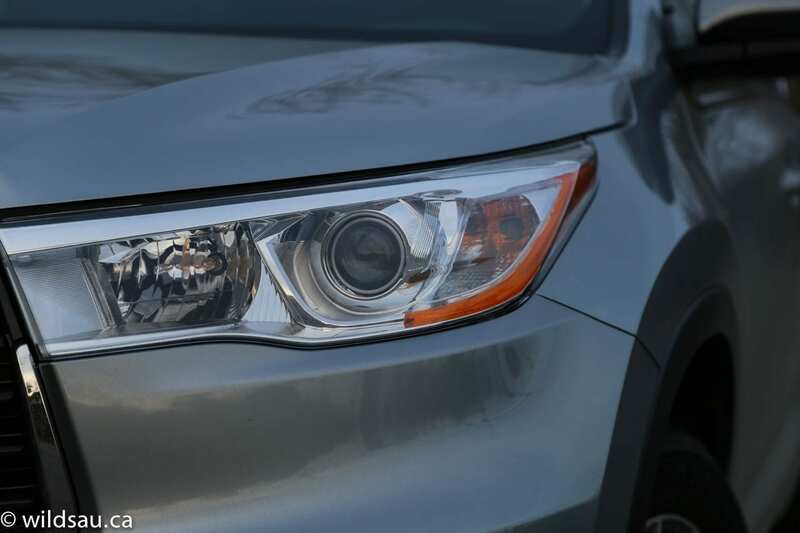 2014 brought us an all-new Highlander, and Toyota made some huge changes inside and out. 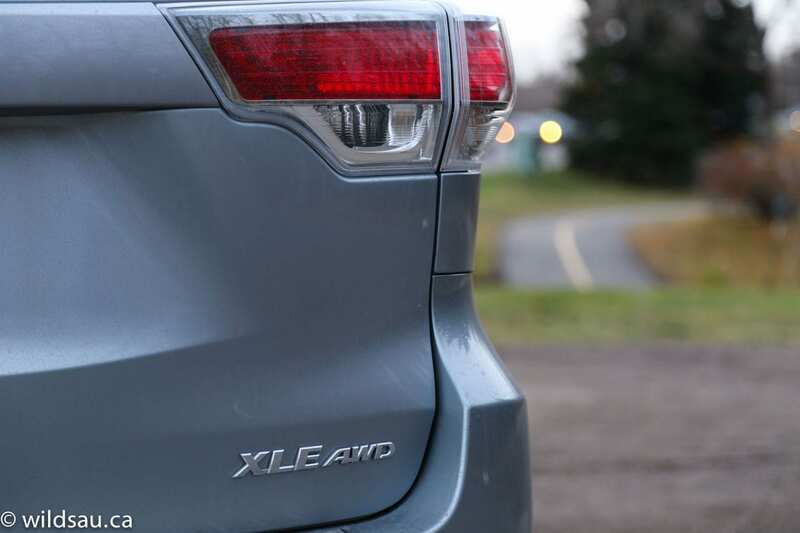 The 2015 model is a carry-over, and this time around, I’m reviewing the XLE, just one step down from the top-of-the-line Limited trim. 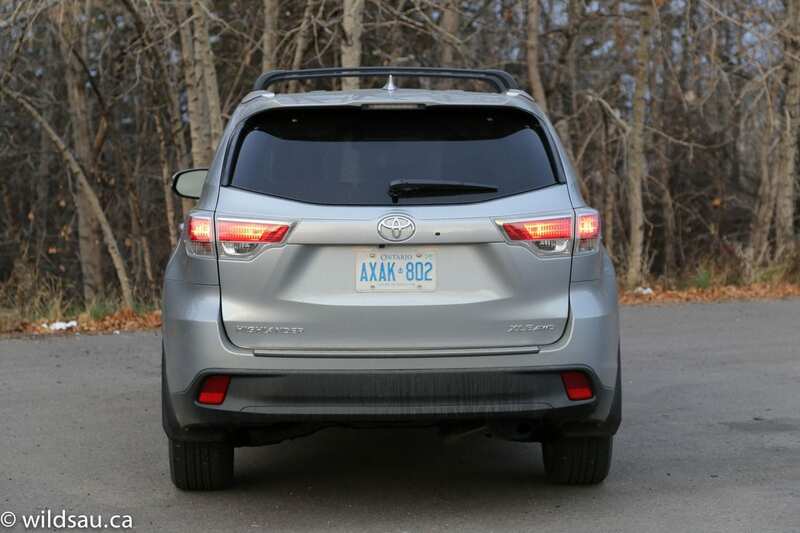 While it doesn’t seem ungainly driving by you on the road, the Highlander is big and that becomes obvious when you walk up to one. The strong exterior is more sleek and features a gaping new grille which integrates its chrome moustache into the headlights. 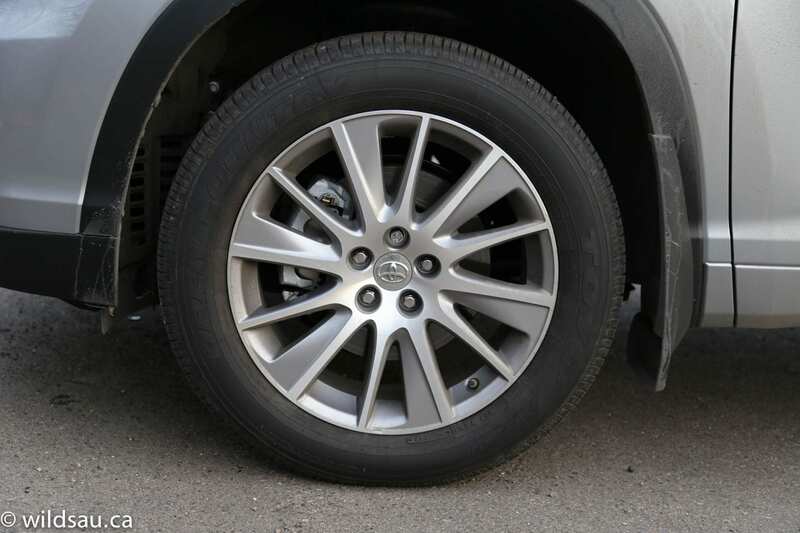 It rolls around on some serious rubber – 245/55s on 19-inch rims. I found the newly masculinized sheet metal appealed to almost everyone who came and had a look and therein lies the Highlander’s strength. It’s nothing special to look at, and won’t warrant many second looks when it’s out and about, but it appeals to most people. Getting into the vehicle is no trouble with its keyless entry system. Materials are soft-touch almost everywhere, with pleasant textures and sculpting going on. The large spacious interior benefits from one of the handsome two- or three-tone colour schemes I’ve reviewed in the past – they’re prettier than this somewhat-dark one. With that said, it’s still a very pleasant place to be. Fit and finish seem to be outstanding. 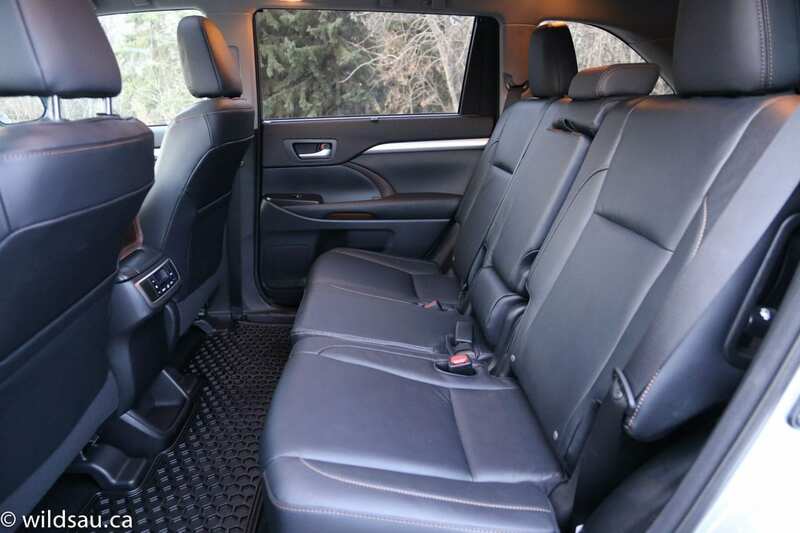 The heated leather seats are highly comfortable and offer decent bolstering support as well. I find it a bit strange that only the driver’s side is power-adjustable though. The meaty steering wheel feels great. A lovely colour driver information screen splits the main gauges, and the whole thing is ergonomically designed and easy to use. The large 8-inch touchscreen is clear and bright, and while the user interface isn’t beautiful, it’s easy enough to navigate and is kept simple. The screen manages your media, the phone, navigation and some settings. I found the screen, especially the right side, to be quite a reach for me and I’d have to stretch to get there. Folks with shorter arms won’t enjoy that. I mentioned the stereo in a previous review, and I’ll mention it again – considering it’s nothing more than an unbranded, 6-speaker system, it sounds outstanding! 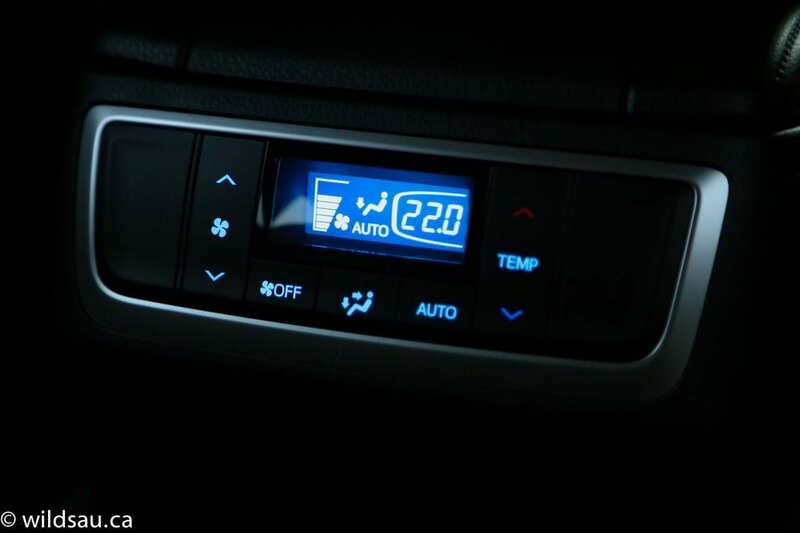 There is also a 3-zone automatic climate control system – dual-zone up front and a separate zone for the rear seats. Overhead is a standard-sized sunroof (you’ll have to step up to the Limited for a panoramic roof) and there’s a push-button ignition. I found the Highlander to be a bit weak in the driver assistance department – there’s a backup camera and that’s about it. For this kind of money and this size of vehicle, I’d like to see blind spot monitoring and parking distance sensors. If you glance over your shoulder from the front seats, the Highlander looks humongous. That’s only because it is. Both the second row and the third row have three seats each. The extraordinarily spacious second row seats slide and recline – move them all the way back and I (at 5’10”) had about 10 inches of knee room! Headroom is excellent as well. 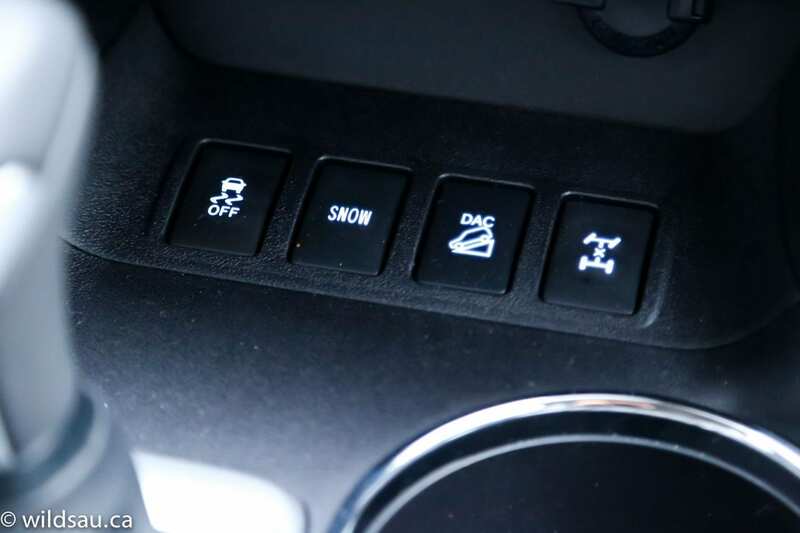 The rear climate zone gets a separate automatic control panel at the back of the centre console, as well as a 12V plug for charging devices. The second row has two sets of LATCH anchors for kids’ seats. Our three children were very happy sitting in the second row, and it is one of the rare vehicles that is wide enough to accommodate three children’s seats width-wise in the second row. A nice touch for both kids and adults in the back – manual sunshades for the rear side windows. The third row is meant for kids or for occasional adult use – the lower seat cushions are quite short and close to the ground, which makes sitting on them uncomfortable for adults, but our kids were fine back there. Another nice touch – the third row seats recline too. 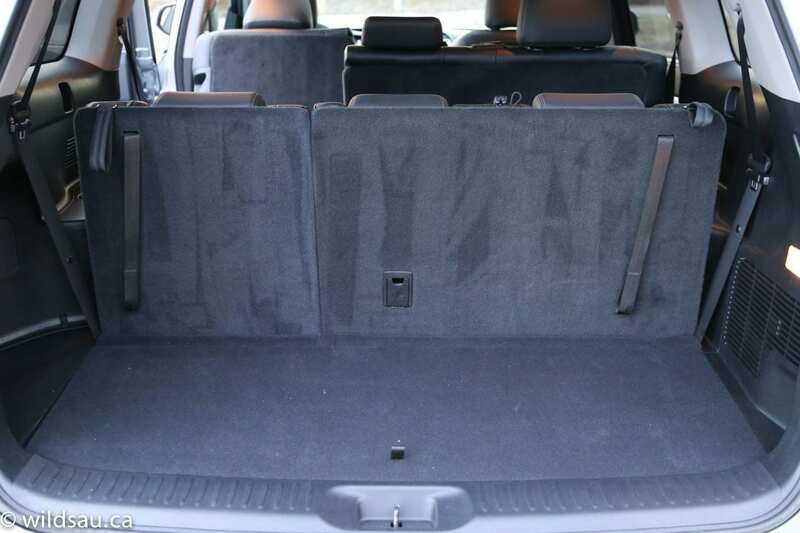 The Highlander provides plenty of storage options littered around the cabin. The key space is an enormous centre console bin hiding under two scrolling lids. You could probably fit a Smart car into it. Toyota adds good door bins as well as a handy change bin under the dash. But my favorite feature (and most used on a daily basis) was the open storage shelf that goes across the width of the entire dash. Handy and well-designed. You can get to the trunk in two ways. For drop-in or quick access, you can just pop the window open. It opens separately, allowing you to quickly get in there. The liftgate is powered and is incredibly, irritatingly slow. But once it’s open, you’ll find a trunk that is very large, and even with the third row up, you have a usable 390 litre space. Fold the back row flat and you get a 1198 litre trunk behind the second row. If you really need to move a ton of stuff, you can fold the second row down too and you’ll have a sensational 2356 litre space to work with. Both second and third rows split 60/40. There’s nothing new here. 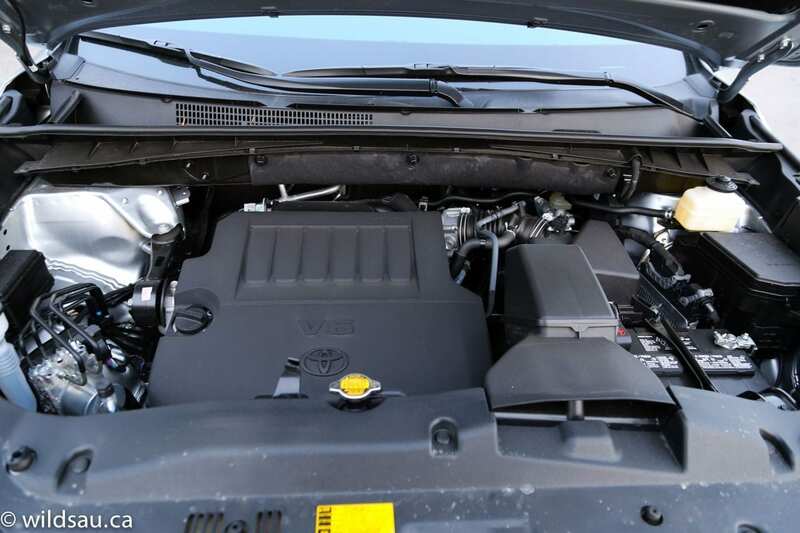 The Highlander gets Toyota’s proven but aging 3.5-litre V6, carrying over with its 270 horsepower at 6200 RPM and 248 lb.ft of torque at 4700 RPM. It gets a 6-speed automatic transmission and all-wheel drive. 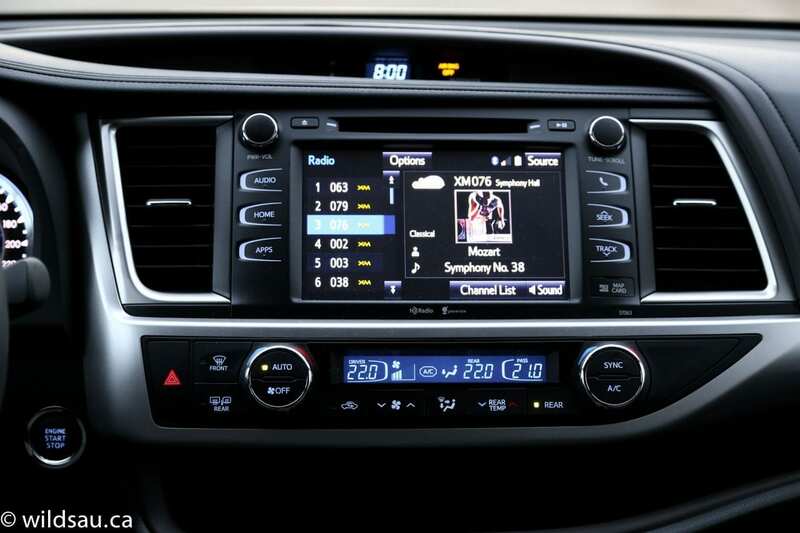 It can also be had in a hybrid model, which adds significantly to the price. A big all-wheel-drive 8-seater SUV isn’t going to take any podium positions on Biggest Loser. The XLE tips the scales at 2035 kg (4,486 pounds). Toyota rates it at 13 L/100 km (18 US mpg) in the city and 9.8 L/100 km (24 US mpg) on the highway. We ended up with an average of 12.9 L/100 km (18 US mpg) during one of our typical weeks. The weather was warm, and most of the driving was slow commuting with a few sprints down the freeway and a decent highway jaunt. The gas tank holds 72.5 litres. The Highlander has plenty of power during all driving situations, including passing on the highway. Throttle response can be even more aggressive in Sport mode, and it will hold the gears longer, but I rarely found the need to go there. The ride was firm, but very well sorted-out and provided excellent comfort around town and on the open road. 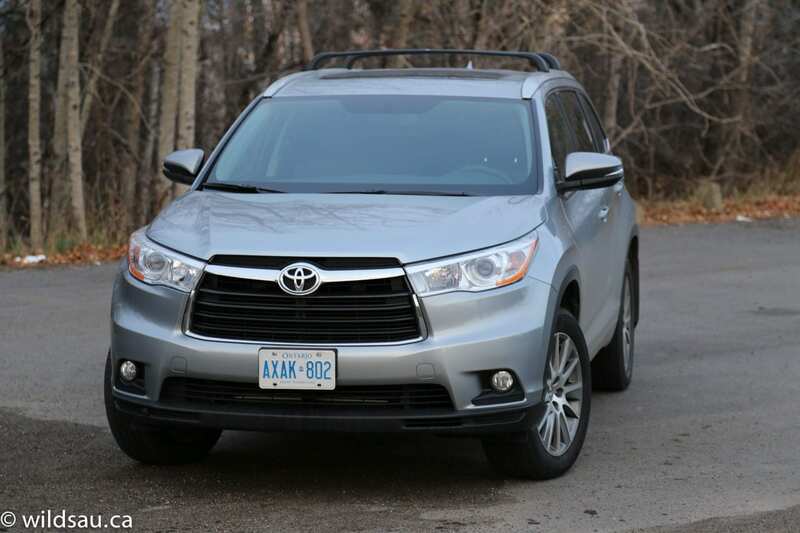 While the Highlander’s handling is secure and competently predictable, it isn’t sporty. The vehicle’s top-heaviness and wallowing in the corners discourage most fun, as does the numb steering feel. The all-wheel drive system remained transparent during my time with the vehicle, and I never got the opportunity to test it in wet or slippery conditions. The brakes were effective and felt powerful. I found the Highlander to be very quiet, even at highway speeds. Visibility out of the front of the vehicle is pretty good and shoulder checking is acceptable but the rear view is restricted somewhat by the second row headrests. Pop up the third row headrests and you won’t find much use for your rear window. Need to tow? No problem – you can haul up to 5000 pounds. The Highlander allows you to make a few adjustments to your driving. There’s a Snow mode, a hill-descent function for the many, many off-roaders that buy Highlanders (I kid) and a locking centre differential. I’m guessing the latter two won’t get used often by most buyers, but it’s nice that Toyota added the functionality. 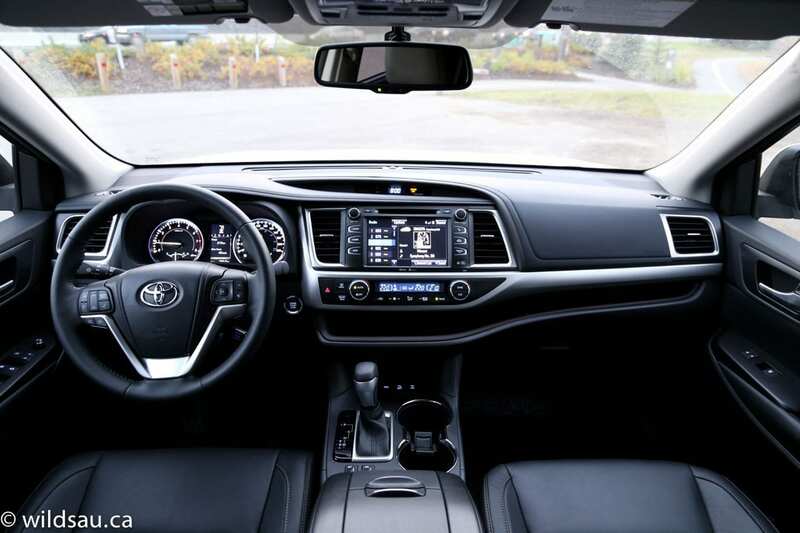 Toyota has a smooth, smart, well-designed family hauler in the Highlander. It offers plenty of space, comfort and utility and that’s what people look for in this category. WAF (Wife Acceptance Factor) was average. 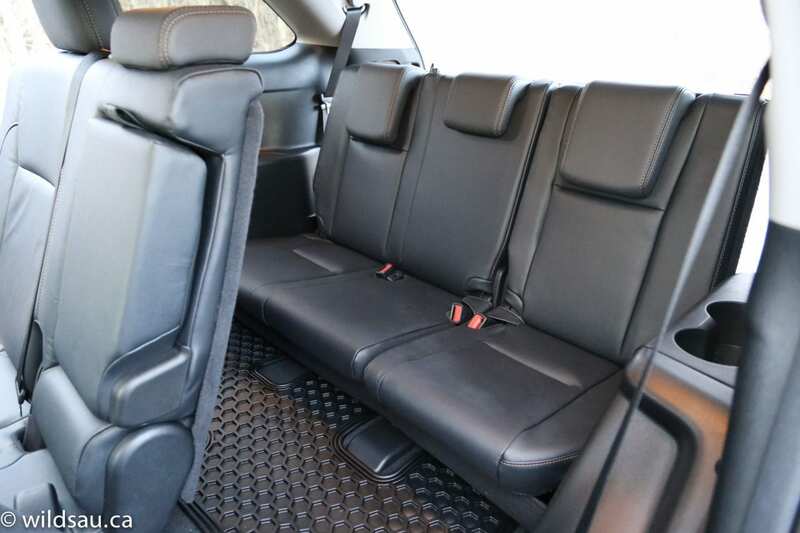 She enjoyed the spacious interior and trunk, and said the interior was nicely designed. In the end, she said: “It’s…. nice. Yeah, it’s pretty nice.” Nothing that excited her, nothing that pissed her off. 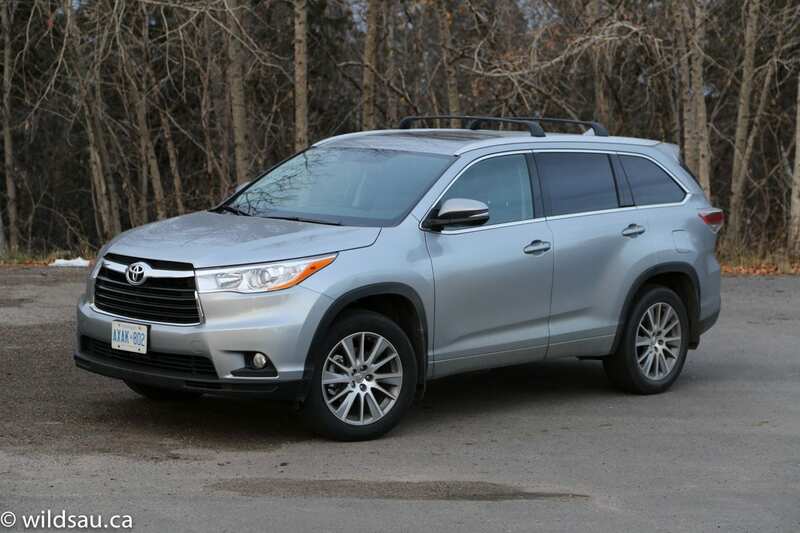 What we have here is a great overall SUV and I think anyone shopping in this category will find what they’re looking for in one of the trim levels of the Highlander ranging from the entry-level well-equipped LE all the way to the uber-expensive Limited Hybrid trim. It’s not exciting, but there’s nothing wrong with it. And in the end, that’s probably a great fit for most families. 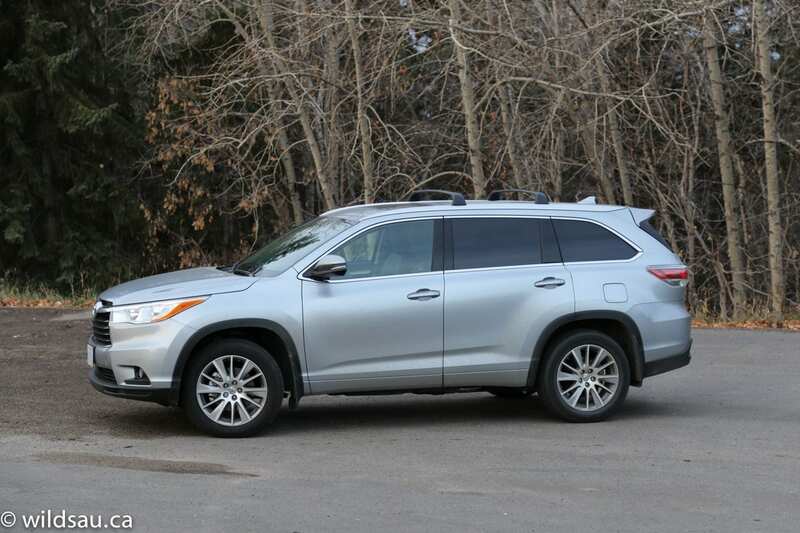 Add in Toyota’s legendary reliability, and I can’t help but recommend the 2015 Highlander.